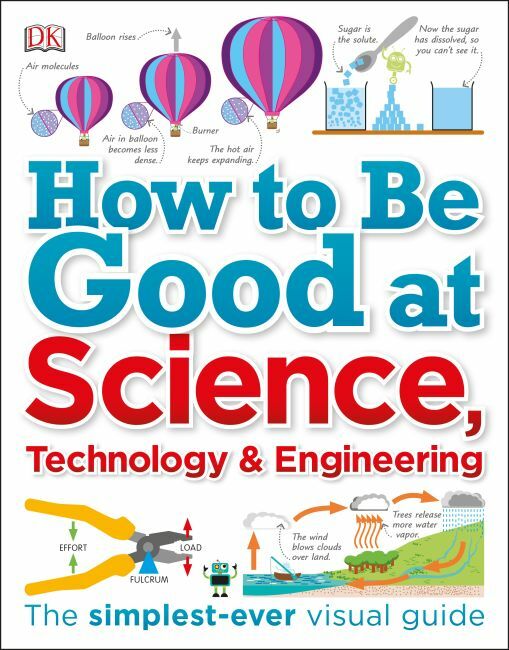 With a visual approach to the STEM subjects, this book makes science easy to understand and shows kids how things work. From molecules and magnetism to rockets and radio waves, How to Be Good at Science, Technology, and Engineering makes complex scientific concepts simple to grasp. Dynamic, visual explanations break down even the trickiest of topics into small steps. Find out how a hot-air balloon rises, how erosion flattens mountains, how light waves zip through space, and how the human eye sees colors. Cool illustrations show the application of science in the real world: see how microchips, tractors, and suspension bridges work. "Try it out" boxes suggest ways children can see the science for themselves. Hands-on projects feature fun experiments to try at home or school: polish up old coins in vinegar, make an erupting volcano with baking soda, learn about different types of solutions, and more. With STEM (science, technology, engineering, and math) subjects ever more important in today's technological world, here is the perfect book to inspire and educate kids and prepare them for the future. All core curriculum areas of science are covered, including physics, biology, chemistry, earth science, and space science.